The debate over whether some Texas city drilling ordinances go too far has become a much-discussed issue during the Texas legislative session. Use our tool, with data from the Texas Municipal League, to see if your city has an ordinance. Does your town regulate oil and gas drilling? City drilling ordinances have taken center stage in the legislative brouhaha triggered by Denton’s vote last November to ban hydraulic fracturing, the revolutionary — and controversial — way of bolstering oil and gas production. Texas law says the state intends its mineral resources to be “fully and effectively exploited,” but courts have said the power isn’t absolute. Local governments have the right to regulate for health and safety. Some cities have long regulated noise and controlled the location of wells or related sites like compressor stations. But petroleum groups say that some city drilling rules go too far, particularly those that require particularly large “setbacks” – or buffer zones — between wells and homes or businesses. State lawmakers have filed nearly a dozen bills in response to some of those concerns. The legislation has put cities on edge, stirring fears that they will lose police powers they consider important. 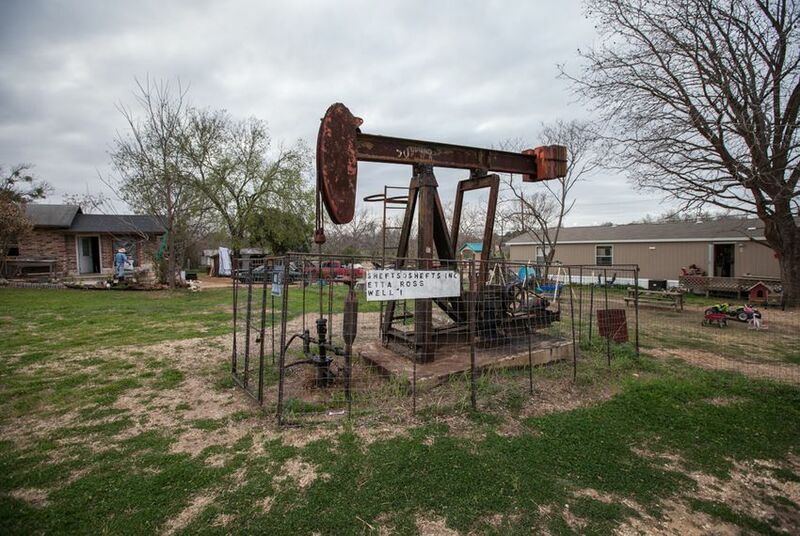 Amid that discussion, the Texas Municipal League sought to gather information on just how many of the state’s roughly 1,200 cities have drilling ordinances on the books, and how many bar drilling in certain parts of town. The group, which counts 1,145 Texas cities among its members, opposes many of the bills as written. It's been most vocal about the legislation most likely to pass. The Tribune supplemented the survey with data on Barnett, Haynesville and Eagle Ford Shale cities gathered by researchers at the University of North Texas and Texas A&M University. Not all towns were covered, but according to the datasets, at least 337 cities have some drilling regulations on the books. That includes some that don’t sit atop lucrative oil or gas deposits. No such regulations exist in at least 550 towns, according to the data. Perhaps surprisingly, 29 cities said their ordinances barred drilling within city limits. It’s likely that operators haven’t shown interest in drilling beneath those towns. *Editor's note: The search tool has been updated after errors in the Texas Municipal League's data were corrected.